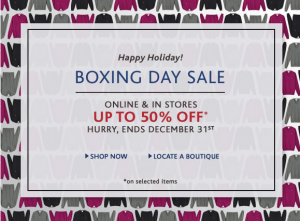 Lacoste Canada is having a boxing day/week sale online at shop.lacoste.ca and in stores. Get up to 50% off your purchase. We checked the sale and a lot of items are on sale including the famous Lacoste polo shirts. Check their online store before heading to the store to make sure what you're looking for is on sale. Lacoste Canada Boxing Day/Week Sale ends December 31st, 2012. 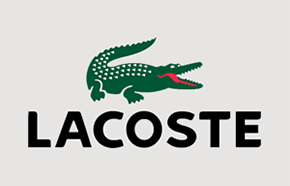 Lacoste appreciates the costs people incur during the holidays and offers a special sale for shoppers this year. From now until Christmas, selected merchandise in-stores will be up to 30% off. If you prefer shopping online, these same sales are offered – keep in mind that orders over $150 also qualify for free standard shipping in Canada! So get ready to shop for men and women’s fashion at Lacoste.